Many of us will remember the Calais Jungle frequently being mentioned in the news. A makeshift encampment that was the home to refugees and asylum seekers from across the world trying to make their way to the UK. At its peak, the camp housed around 8,000 individuals, a tiny fraction of the displaced population. But its existence was a powerful symbol of how western society, the British government in particular, had turned their backs on those in desperate need of help. However, more than simply a visualisation of the failings of governments it stood as testament to those individuals who had travelled far from their homes in search of sanctuary and who had created a resilient and hopeful community in the face of such adversity. 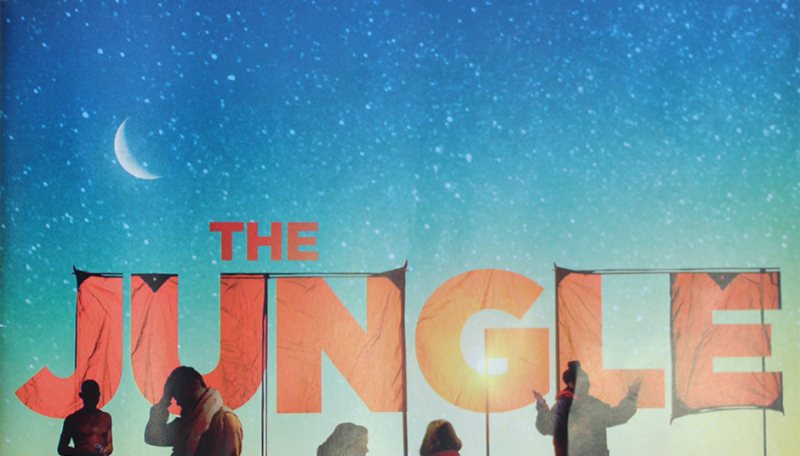 These experiences of hope and resilience in The Jungle camp have been made into a theatrical production: ‘The Jungle’ is a play by Joe Murphy and Joe Robertson, founders of the Good Chance Theatre in the Calais Jungle. The play transforms the Playhouse Theatre into a café, based on the real café in the Calais Jungle Camp which the renowned food critic A.A Gill gave a 4-star review when he visited the encampment. Placed in the central hub of debate and political activity, audience members are totally immersed in the action of the play; sat at wooden tables at the restaurant, served flat bread and chai, becoming part of the Jungle community. The stories that were laid in front of us on a raised platform at the centre of the restaurant were ones of resilience, of hope and of a raw humanity that was both overwhelmingly powerful and saddening at the same time. And although the stories heard were of difficult times in the lives of individuals, they also captured the small humours and happiness that seems to be present despite the situation. For me, the play reminded me how important personal stories are. They have the power to change opinion, they open people’s eyes to an unknown reality and they can empower the storyteller. In our communications at JRS UK we always strive to carry the voices of our refugee friends through everything that we produce. But in the same way that ‘The Jungle’ showed both a desolate and resilient situation, it is important that the stories we hear show the people we accompany as full, dignified human beings; not simply ‘asylum seekers’. 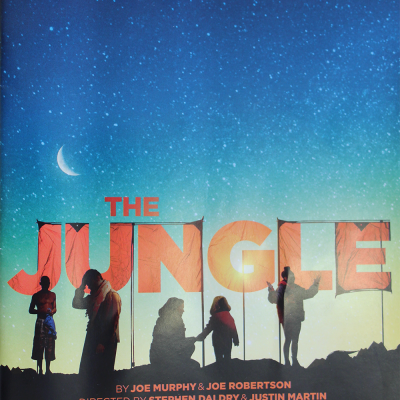 One thing that moved me about Saturday’s performance of ‘The Jungle’ was a small scene where an individual had made it to the UK, but was struggling to get refugee status as the proceedings were made complicated by the fact his name could be spelt in 3 different ways. Our asylum system is built on a preposition that individuals who arrive here seeking sanctuary aren’t to be believed. And this is something I commonly see and hear about at JRS UK; the impossible standard of proof that is required of those putting in an asylum claim. And so it was difficult leaving the theatre knowing that so many of those dreams of a safe refuge are rarely realised due to a system that treats individuals with doubt and scepticism as they begin their life in the UK. But this difficulty also stands as a reminder why the work of JRS UK and other organisations is so important. The Calais Jungle may have been removed by the French government but this play ensures that its impact on society isn’t forgotten and that the men, women and children who still live where the Jungle once was, waiting to find safety, are not forgotten. In the same way JRS UK will continue to accompany those refused asylum by the UK, we will ensure their stories are heard and we will continue to show society the joys, humour and resilient hope that asylum seekers bring.